Believe it or not, persimmons are already ripening...and we’re buying! Our friend and forager Kay called us to let us know her first round of persimmons are already starting to fall. This on a day when the heat index was a "feels like" 106 degrees. Not exactly "First Frost" weather, eh? While we are still enjoying what is left of summer, we are preparing for future beers...namely our First Frost winter persimmon ale. This year’s persimmon harvest has started very early. Typically, the wintering fruit is best after the first frost of the season (mid-October) — hence the name, First Frost. But it appears that this summer’s hot, dry weather may have contributed to an early harvest. If you live in central North Carolina and want to forage for persimmons, we invite you to bring your good, soft, washed native persimmons (Diospyros Virginiana) to the tavern between 9 and 5 p.m. weekdays. We’ll weigh your harvest and pay you $2 a pound. Be sure you’re picking persimmons...and that you have permission to pick! Persimmon trees are often at the edge of a farm, bordering properties. Or in the woods, randomly. Please remove the calyx. Most importantly, we cannot purchase hard persimmons. The best persimmons are either on the ground or fall from the tree with a gentle shake. If you want to know the difference between a ripe and unripe persimmon, eat a hard one. You’ll quickly learn the difference: unripe persimmons are like eating felt. Obviously we don’t want those. Be sure you’re picking persimmons! Here’s a handy guide to the native fruiting tree. If you have Asian persimmons or a unique varietal, we're still interested...please email me (sean@fullsteam.ag) and tell me more! We’re buying persimmons, but only if you arrange the sale ahead of time. Please contact Mary Beth to learn more. We’ll pay you $2 a pound if we can use them. Enjoy the spirit of the Forager Collective, and participate if you can. Don’t trespass. Don't fall off your ladder. Fullsteam isn’t responsible for injuries. And we reserve the right to refuse the harvest. You know how it is. Obviously, the goal is for you to forage and harvest what’s local and in-season…not for you to buy California persimmons at the grocery store and try to pass them off as a local harvest. 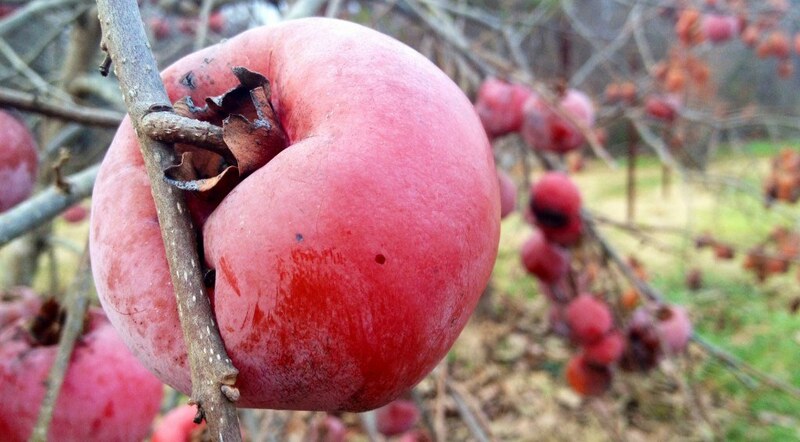 Go find (and harvest) a persimmon tree, even if you end up using the fruit all for yourself! It’s good for the soul, tasty, and the fruit is really good for you!